The Fame Forum V Gothic Black Pored Red with its eye-catching finish and hot pickups is aimed at heavy metal guitarists. The construction of the Fame Forum V is based on an alder body with a solid ash top and a glued maple neck, which together promise a tight basic sound with quick response. The comfortable "D" profile offers unimpeded playability across all 24 frets of the rosewood fingerboard, so that virtuoso solos can be played just as skilfully as fat riffs. The proven combination of an EMG 85 on the neck and an EMG 81 bridge makes the amplifier sweaty and promises the perfect basis for tight sounds with crisp attack and enormous clarity. Last but not least, the Fame Forum V Gothic has a Tune-O-Matic bridge with stopbar tailpiece and Sperzel locking mechanisms. 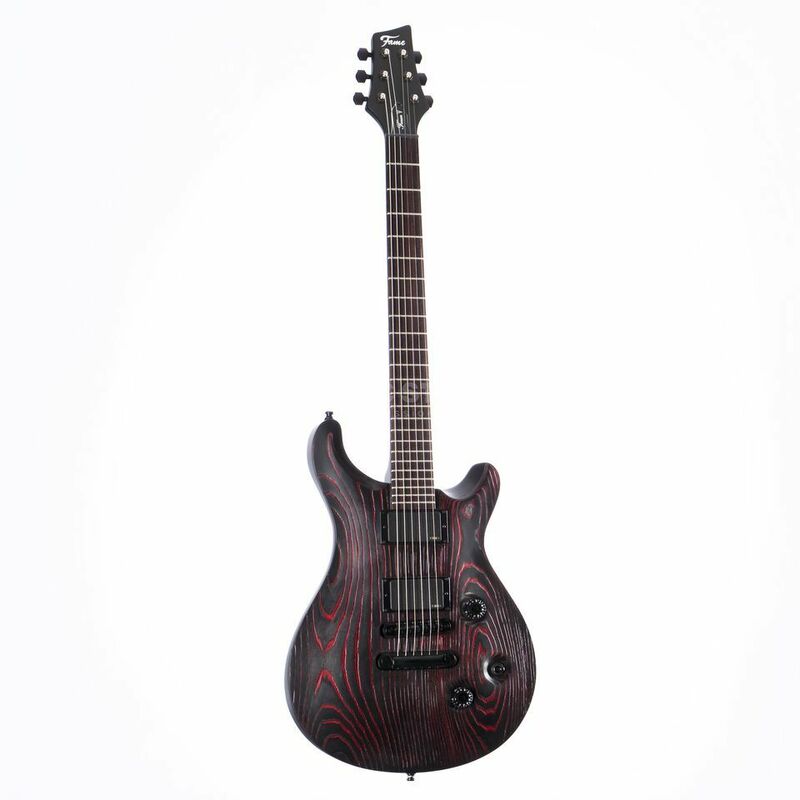 The Fame Forum V in the eye-catching Gothic Black Pored Red is equipped with EMG pickups for particularly brute sounds.